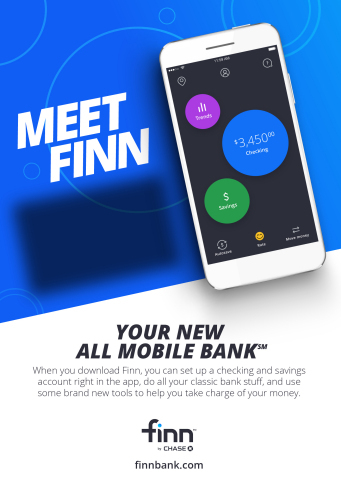 NEW YORK--(BUSINESS WIRE)--Chase today announced that its all-mobile bank, Finn by ChaseSM is now available nationwide to iOS users, offering millions of consumers a fully digital banking experience that helps them spend smarter and save better. This is the next big step of Finn’s customer roll-out following its debut in St. Louis in October. Through Finn, customers can do all of their banking from their phone, like open an account, make a deposit, or send money to friends with Zelle®. 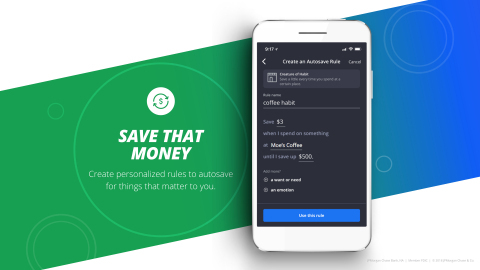 The Finn debit card, which customers can now activate through the app, continues to offer fee-free access to more than 29,000 Chase and partner ATMs across the country.